An organization is termed as a nonprofit if its major aim is to achieve a particular objective, rather than earning profits. In such organizations, the profit earned is further invested in the same cause so that it can further expand and get successful. Such organizations aim to provide benefits to a specific group and the shareholders do not get a portion from the earnings. During the early days, a startup was considered to be necessarily for profit. A new organization could not be referred to as a startup if it was driven by a philanthropic purpose. However, the mindset has evolved quickly during the past few decades. Philanthropists have started acquiring similar techniques to expand their nonprofit organizations. With the startup mentality, another major change has been observed. Instead of dedicating the entire set of returns to charitable purposes, they rather dedicate a large portion of the earnings to their purpose. The share of stakeholders is meager and helps them pay for their daily requirements and focus more on the organization. The practice was introduced as the stakeholders could not get time to carry out their jobs and organizational duties in parallel. onprofit organizations used to get money for their purposes by asking people and other companies. Fundraising is still a major component of such organizations; however, they also rely on their own sources to gather funds. Many companies have started acting like tech firms that provide services to people and earn money. A majority of this money is spent on the cause for which it was generated and the rest goes for paying the organizational expenses. Effective planning is the key to ensure that you can successfully achieve pre-defined goals. Keep track of your short term and long term goals after analyzing market conditions, and apply your efforts towards the particular target. It is necessary to consider a social problem that needs to be resolved and propose approaches that can tackle the problem. All the strategies must revolve around this problem to spread awareness among people and effectively resolve it. SWOT Analysis stands for Strength, Weakness, Opportunities and Threats. It is performed before initiating a venture to determine the problem areas it should target. It involves a competitor analysis that determines the current market and provides techniques to make its place above other organizations. Target your strengths but make sure that the weaknesses do not take a toll or bring any harm to the organization. Proper research about the target customer base is necessary to sustain an organization in the current market. Surveys can be conducted with potential customers to gather information about their problem areas and the solutions they expect. The business plan can be modified with customer feedback. The company policy should be to accommodate customer requirements effectively. The board of directors must comprise of experienced members that can help the organization bring the desired revolution in the world. They must belong to varying school of thoughts and different areas. They should be able to offer efficient advice through which the scope of the organization can expand. Diverse input from relevant fields will help in making decisions that can help the company target a larger group. Innovative minds are necessary to solve problems in a more effective manner. A marketing strategy is essential to ensure that the outreach of the business can be expanded within limited costs. It is otherwise a costly matter that consumes a majority of the investments. The more the people get attracted, the easier it will be for the organization to achieve its goals. However, cost-efficient marketing can help you inform people about your targets. Marketing models such as cheap distribution, affiliate marketing, online marketing and strategic partnerships can help the startup cut down on its marketing costs. Be it a for profit or nonprofit business, every organization needs to establish a balanced operational plan before starting its activities. The process of carrying out each activity must be discussed with the board of directors and expert advice must be taken into account. Along with each goal, its procedure must be written down, and short term goals must be specified on the go. Keep modifying the goals on the basis of target market requirements and current conditions. It is recommended to plan organizational activities after financial resources have been finalized. The budget for each specific activity should be reserved so that it does not interfere with other costs. The services of finance experts must be acquired as they have a firm grip on the concepts and can propose a better strategy. Along with initial investments, it must be planned how the company will pay for its expenses later on. Instead of acquiring staff with low salary expectations, the organization must focus on the people that can bring in the expertise. Experienced members can play a major role in ensuring that the company successfully achieves its targets within the pre-defined time frame. Low cost staff, on the other hand, is usually less efficient and cannot boost the organization’s performance efficiently. 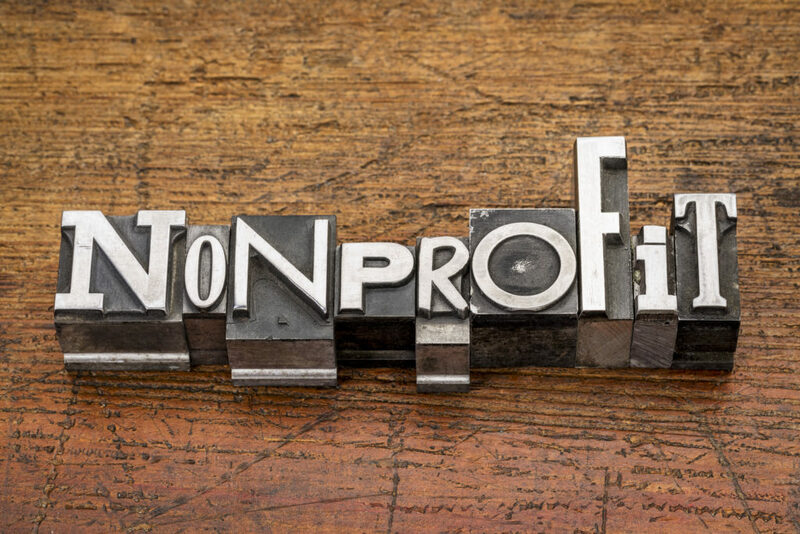 Running a startup nonprofit organization is much more difficult than it is considered to be. It requires a lot of effort and investments. It takes time to spread awareness about the benefits it brings and convinces people to acquire the services. A majority of organizations fail as they lack the skill set required to be successful. Moreover, they do not invest sufficient time to achieve goals. This behavior leads to losses, and the organization is closed down eventually. Next Next post: New Year, New Fundraising Plan: Are Your 2019 Fundraising Solutions Ready?